Jenny Walsh Consulting Ltd is based in BioCity Nottingham, UK and offers specialist pharmaceutical consultancy support, with a particular focus on paediatric product development, from early phase prototypes to products for marketing. Regulations in both Europe and the USA mandate the development of paediatric medicines for new products and incentives are in place for the development of off-patent (generic) paediatric products. The formulation of medicines for children can be particularly challenging due to the diverse patient population and the need to consider patient acceptability and the safety of both excipients and the API. We work closely with clients in a flexible manner to assist them with their paediatric formulation programmes, to enable them to meet their business needs, patient requirements and regulatory obligations, as efficiently as possible. We also offer support to adult product development projects. Icon One Support and independent impartial advice on paediatric formulation development strategies and projectsIn addition to pharmaceutical development support in line with ICH principles, we provide assistance with selection of age appropriate dosage form(s), excipients and with requirements for medicine administration and assessment of acceptability. Icon Two Preparation and review of EU Paediatric Investigation Plans (PIPs) and US Pediatric Study Plans (PSPs) We prepare Quality sections of PIPs and PSPs together with PIP Modifications in accordance with regulatory requirements and review Clinical and Non-Clinical aspects to ensure consistency. We can manage PIP submissions to the EMA Paediatric Committee. Icon Three Preparation of CMC/Module 3 regulatory documentation; IMPDs, INDs, MAAs, PUMAs, NDAs We author global CMC regulatory documentation from Phase 1 to registration application and prepare responses to questions from regulatory authorities to facilitate timely approval. Icon Four Tailored training on formulation of paediatric medicines We provide training in accordance with client requirements either face-to-face or remotely e.g. via Webinar, to facilitate client paediatric medicine development projects. Icon Five Assistance with pharmaceutical vendor selection and management We assist clients in the assessment and selection of vendors for pharmaceutical development activities and provide project management support to ensure satisfactory delivery of key milestones. Icon Six Pharmaceutical due diligence and gap analysis We assess the science and technology underpinning new pharmaceutical products including the review of CMC dossiers to identify strengths and weaknesses, potential risks and opportunities. Company Director Jenny Walsh is a PhD pharmacist with over 25 years experience in the pharmaceutical and consumer healthcare industries (Glaxo SmithKline, Napp Research Centre, The Boots Company, Reckitt Benckiser, AstraZeneca) where she has held a variety of roles within Pharmaceutical Development and Medical Affairs. Jenny has recognised expertise in paediatric product development; she has actively contributed to over 30 global paediatric development projects, including PIPs and PSPs and been responsible for the design and implementation of a paediatric medicine development process for a global pharmaceutical company. She is also an associate member of the European Paediatric Formulation Initiative and has presented at conferences and authored publications. Devices for oral and respiratory medicines: What do healthcare professionals think? Int. J. Pharm. (2015) 492: 304-315. 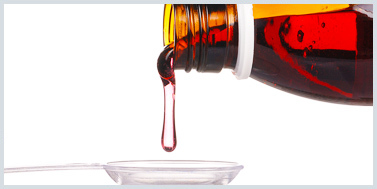 Playing hide and seek with poorly tasting paediatric medicines: do not forget the excipients. Adv. Drug Del. Rev. (2014) 73: 14-33. Challenges and recent developments in administration devices for paediatrics. BioPharma Asia (2014) 3 (6). Formulating better medicines for children: 4th EuPFI Conference. Therapeutic Delivery (2013) 4: 21-25. A benefit/risk approach towards selecting appropriate pharmaceutical dosage forms - An application for paediatric dosage form selection. Int. J. Pharm. (2012) 435: 115-123. Excipients for the formulation of medicines for children European Industrial Pharmacy (2012) Issue 13: 14-16. 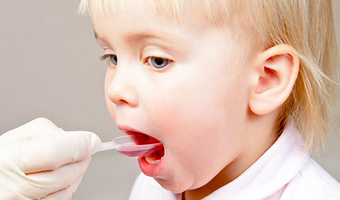 Delivery Devices for the Administration of Paediatric Formulations: Overview of Current Practice, Challenges and Recent Developments. Int. J. Pharm. (2011) 415: 221-231.